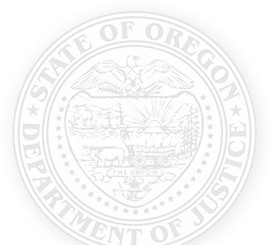 The Trial Division defends the State of Oregon and its employees and officers against civil lawsuits filed in state and federal court. The Trial Division is divided into the Civil Litigation, the Special Litigation and the Criminal and Collateral Remedies Section. Steve is the chief trial counsel of the Trial Division. 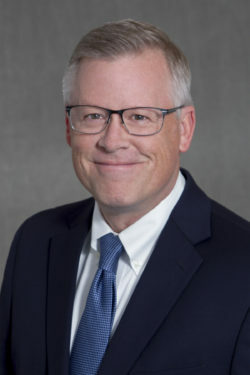 He is responsible for the daily operations of the division, which defends the state and its officers and employees in civil cases filed in state and federal court. The Trial Division also represents the state in post-conviction and habeas corpus petitions filed by convicted criminals. Steve has been with the Oregon DOJ since 2012. Prior to working for the Oregon DOJ, Steve was in private practice in Salem, Oregon. Steve received his B.A. from the University of Washington and his J.D. from the Willamette University College of Law. Sheila is the deputy chief trial counsel of the Trial Division. She has been with the Oregon DOJ since 2010. Prior to working for the Oregon DOJ, Sheila was in private practice in Portland. She received her B.A. from the College of William & Mary in Virginia and her J.D. from the University of Colorado. The Civil Litigation Section handles torts, employment, commercial disputes, prisoner civil rights lawsuits and real estate condemnation. Its lawyers also defend district attorneys when they are sued in civil lawsuits. The lawyers in the Special Litigation Unit (SLU) defend state statutes and policies against constitutional challenges in state and federal courts. They also defend the state in complex litigation, elections litigation, class action lawsuits and environmental litigation. The Criminal and Collateral Remedies Section litigates cases filed by a convicted person seeking a new trial or a re-sentencing from a trial court. This Section seeks to uphold the convictions won by a district attorney when a case reaches the state post-conviction and federal habeas corpus stage. This Section also handles cases before the Psychiatric Security Review Board ».